Ineffective assistance of counsel standards and legal malpractice standards with regard to advice all boil down to communication. It is safe to say that at the heart of criminal law lays the attorney-client privilege. This privilege is described as, “the oldest among common-law evidentiary privileges, [that] fosters the open dialogue between lawyer and client that is deemed essential to effective representation.” In American jurisprudence, the privilege is premised on the belief that our legal system is more civilized because we recognize and enforce this privilege. In turn, the legal system is advanced because the attorney’s advice is based on full disclosure. Stated otherwise, our legal system encourages full disclosure and does so by eliminating the fear that confidential information will be shared with other parties. However, if the lawyer fails to advise or misadvises the client on a critical issue, the client’s future could be drastically affected without the client’s knowledge. In that case, an attorney could be found to be ineffective, or legally negligent under the tort of legal malpractice. Because of the significance of the attorney-client relationship, attorneys owe tremendous duties to both the client and the court. But this standard does not require an attorney to anticipate changes in the law. In applying adequate legal representation, an attorney must apply knowledge, skills, and ethics to a client’s specific circumstance. 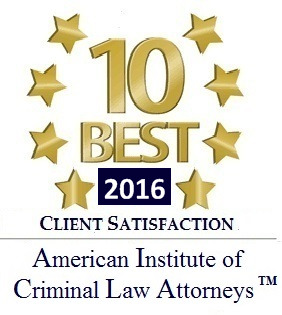 In addition to zealously advocating for a client, an attorney must communicate and advise his client. Ordinarily, an attorney has no duty to initiate investigation into a client’s affairs that the client has indicated are unnecessary, but an attorney can initiate advice if it appears to be in the client’s best interest. But, without question, an attorney’s responsibilities are to conduct prompt investigation of the circumstances surrounding the case, and to explore all avenues that could possibly lead to relevant facts. Sara Elizabeth Dill & Robert J. McWhirter, Practice Pointers for the Criminal Defense Attorney in the Aftermath of Padilla v. Kentucky, ABA Criminal Justice Section 1 (Spring 2010) (“the Sixth Amendment requires defense counsel to provide affirmative, competent advise to a non-citizen defendant regarding the immigration consequences of a guilty plea and, absent this advice, a noncitizen may claim ineffective assistance of counsel.”). See Upjohn Co. v. United States, 449 U.S. 383 (broadening attorney-client privilege by holding that communication of any employee of a corporation to the attorney in regards to the corporation could be protected under the attorney-client privilege. ); see also In Matter of Jacqueline F., 47 N.Y.2d 215, 417 N.Y.S.2d 884 (1979) (holding that strong public policy interests could pierce attorney-client privilege, where the attorney was ordered to disclose his client’s address when the custody of that client was the issue before the court). Upjohn, 449 U.S. at 389 (1981). See Spectrum Systems v. Chemical Bank, 78 N.Y.2d 371, 377, 575 N.Y.S.2d 809, 813 (1991). Vincent S. Walkowiak, The Attorney-Client Privilege in Civil Litigation: Protecting and Defending Confidentiality 4 (4th ed. 2008). See M.C.L.A § 168.758b (2005) (stating while one cannot vote while in custody, one can under M.C.L.A § 168.492a vote if in detention awaiting trial); compare to M.C.L.A § 600.1307a(1)(e) (1996). See Bobby v. VanHook, 130 S. Ct. 13 (2009) (holding that failure of defense counsel to comply with ABA standards in a death penalty case adopted years after his representation was not ineffective assistance of counsel); See also Wong v. Belmontes, 130 S. Ct. 383 (2009) (finding counsel was not ineffective in limiting his presentation of mitigating evidence in a death penalty case, where defense counsel faced the real possibility that presenting certain evidence would open the door to the state presenting evidence that the defendant had committed a prior murder); Compare to Porter v. McCollum, 130 S. Ct. 447 (2009) (concluding that the Florida Supreme Court was objectively unreasonable in holding that there was no reasonable probability of a different sentence if the judge and jury heard significant mitigating evidence such as being abused as a child, effects of fighting in the Korean War, and evidence of Brain abnormality). See Clifford W. Taylor, George A. Googasian & Allan S. Falk, West Group Michigan Practice Guide Torts § 2-1 (Vol. 1 2002) (“Negligence is a broad doctrine that reaches into every nook and cranny of human activity to create a basis for tort liability.”). See Mieras v. BeBona, 452 Mich. 278, 308, 550 N.W.2d 202 (1996) (finding that a duty is unquestionably owed to the client, but may also be owed to third persons, such a beneficiaries of a will or trust the lawyer is retained to draft); see also McCluskey v. Womack, 188 Mich. App. 465, 473, 470 N.W.2d443 (1991) (stating that a claim of legal malpractice requires a showing of actual injury caused by malpractice, not merely the potential for injury). Eggleston v. Boardman, 37 Mich. 14, 16 (1877); Babbitt v. Bumpus, 73 Mich. 331, 41 N.W. 417 (1889); see generally Model Rules of Prof’l Conduct R. 1.0-.3 (2010). See generally Model Rules of Prof’l Conduct. Joos v. AutoOwners Ins. Co., 94 Mich. App. 419, 422, 288 N.W.2d 443 (1979); see e.g., Simko v. Blake, 448 Mich. 648 , 657, 532 N.W.2d 842 (1995) (concluding that only average ability is required, including a duty to behave as would an attorney of ordinary learning, judgment, or skill under the same or similar circumstances). Boyle v. Odette, 168 Mich. App. 737, 745 (1988). See generally Sullivan, William M., Anne Colby, Judith Welch Wegner, Lloyd Bond & Lee S. Shulman, Educating Lawyers: Preparation for the Profession of Law (Carnegie Foundation for the Advancement of Teaching 2007); compare to Thomas M. Cooley Law School, Mission Statement. See e.g., Model Rules of Prof’l Conduct R. 1.3 cmt. (2010) (“A lawyer must also act with commitment and dedication to the interests of the client with zeal in advocacy upon the client’s behalf.”); But see Model Rules of Prof’l Conduct R. 3.1 cmt. (2010) (“The advocate has a duty to use the legal procedure for the fullest benefit of the client’s cause, but also a duty not to abuse legal procedure.”); See e.g., In re Zawada, 208 Ariz. 232, 92 P.3d 862 (2004) (finding a prosecutor in violation of ethical rules, as his over-zealous prosecution of first-degree murder case: he suggested that a psychiatric expert fabricated his diagnosis, and in closing suggested that the defense attorney paid the expert to lie). Model Rules of Prof’l Conduct R. 1.4 (2010). Model Rules of Prof’l Conduct R. 2.1 (2010). ABA Standards For Criminal Justice std. 4-4.1 (1993). Model Rules of Prof’l Conduct R. 2.1 cmt. (2010).